A Friday P.A. 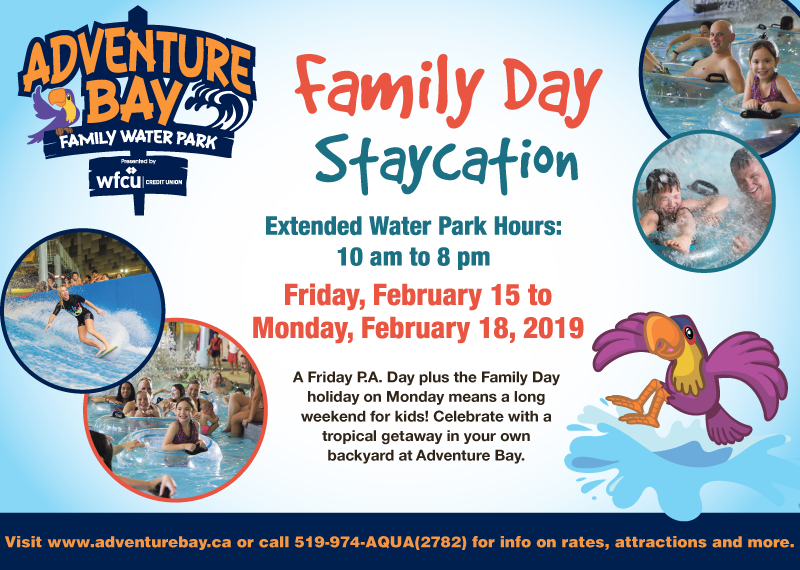 Day plus Family Day on Monday means a long weekend for kids this February, and you can celebrate all weekend long in tropical style at Adventure Bay Family Water Park Presented by WFCU Credit Union. Enjoy extended water park hours, 10 a.m. to 8 p.m. each day from Friday, February 15 to Monday, February 18, 2019. Regular admission applies. Bring the whole family for a summery staycation, and enjoy our popular attractions, from the mighty Master Blaster to the relaxing Lazy River and more!